But those two are not the only things Cora Waddell's celebrating — she also has a new movie coming out. "Recipe for Love," the first flick that the former "Pinoy Big Brother" housemate is topbilling, pairs her with actor Christian Bables, who plays a budding chef named Calix. 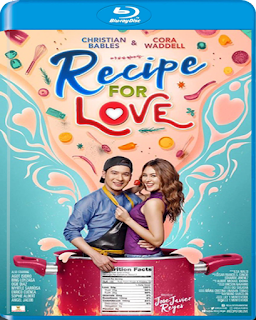 A trailer was released Tuesday, showing how Waddell's character (food reviewer Val) meets and then falls for Calix. Complications arise, however, when their exes and families get involved, proving that too many cooks can indeed spoil the broth or in this case a perfectly good relationship. The Regal Films feature also stars Myrtle Sarrosa, Sophie Albert, Enrico Cuenca, Agot Isidro and Ogie Diaz.